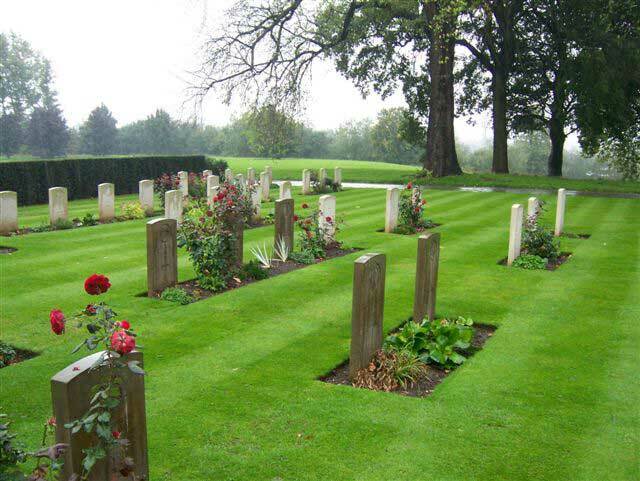 Derby (Nottingham Road) Cemetery contains 193 First World War burials and 134 from the Second World War. There is a small war graves plot of about 40 burials from both wars, the rest of the graves are scattered throughout the cemetery. Three soldiers who served with the Yorkshire Regiment are buried in this cemetery. We are extremely grateful to Richard Roberts (<richard.nsw@googlemail.com>) who has forwarded photographs of these graves and the cemetery itself. One of the graves, when first photographed (in 2011), was in a highly neglected state. This grave, - originally a family memorial, has been additionally marked by a newly erected Commonwealth War Graves headstone. 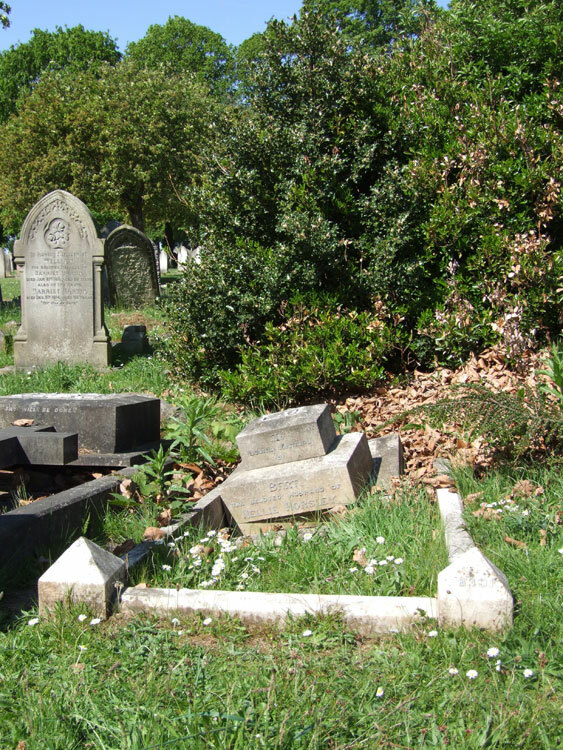 To view an enlarged photo of each grave, select the thumbnail image. Close the window that opens to return to this page. 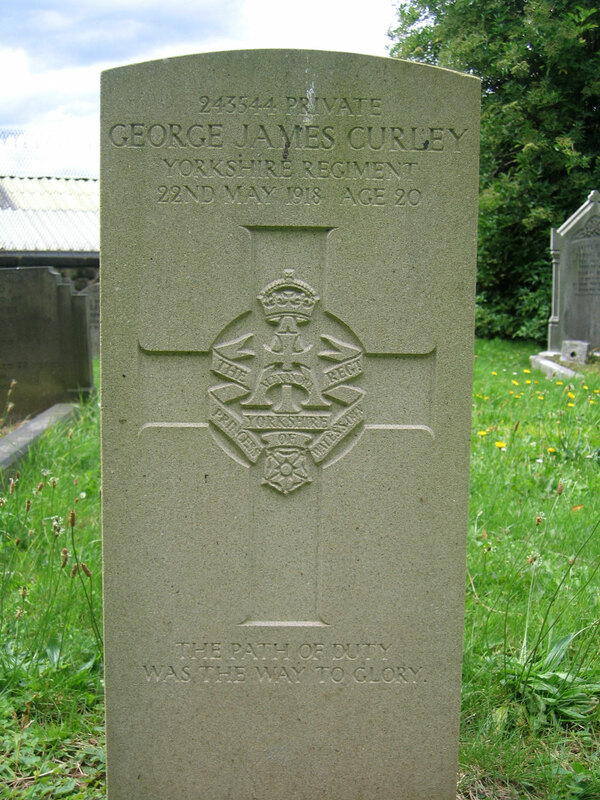 Private George James Curley. 243544. 2nd Battalion the Yorkshire Regiment. Son of James Charles & Hannah Elizabeth Curley of 26 Chester Green Road, Derby. Grave 46613 Derby (Nottingham Road) Cemetery . Born Derby, Enlisted Derby, Resided Derby. (Shown in SDGW as being in the 12th Battalion Yorkshire Regiment). 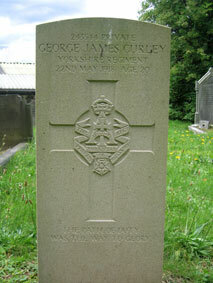 WAS THE WAY O GLORY"
"His elder brother, Charles Edward, served in the Sherwood Foresters. Sadly, he was killed in action five months after George died and is buried in France. " 15th Battalion the Yorkshire Regiment. 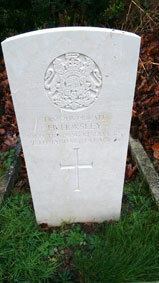 Son of Elias and Agnes Horsley; husband of Nellie McLochlin (formerly Horsley), of 83, Barlow St., Derby. Died at home 28 January 1917. Aged 26. Born St. James (Derby), Enlisted Derby. Photo by BaddileyRam of the Find a Grave website. 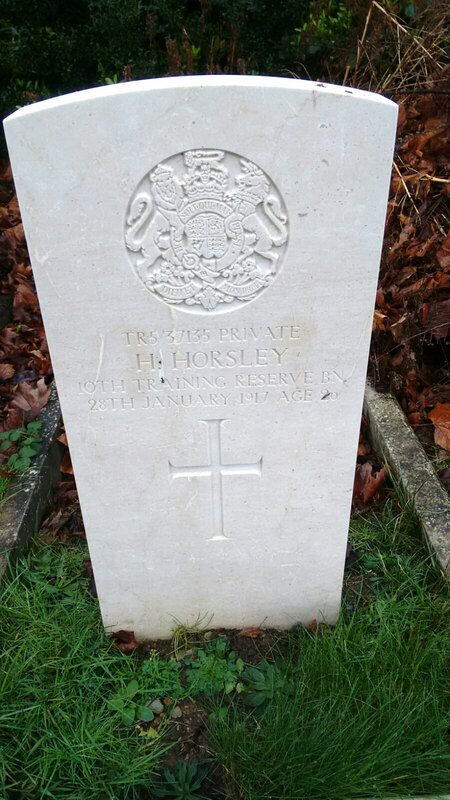 In 2011 Richard Roberts photographed Private Horsely's grave and found nit to be in a woefully neglected condition. A photo of this grave, - a family memorial headstone, is shown below. 8th Battalion Royal Scots, formerly 29638 the Yorkshire Regiment. Son of Mr. T. and Mrs. F. Walsh, of 34, Arnold St., Derby. 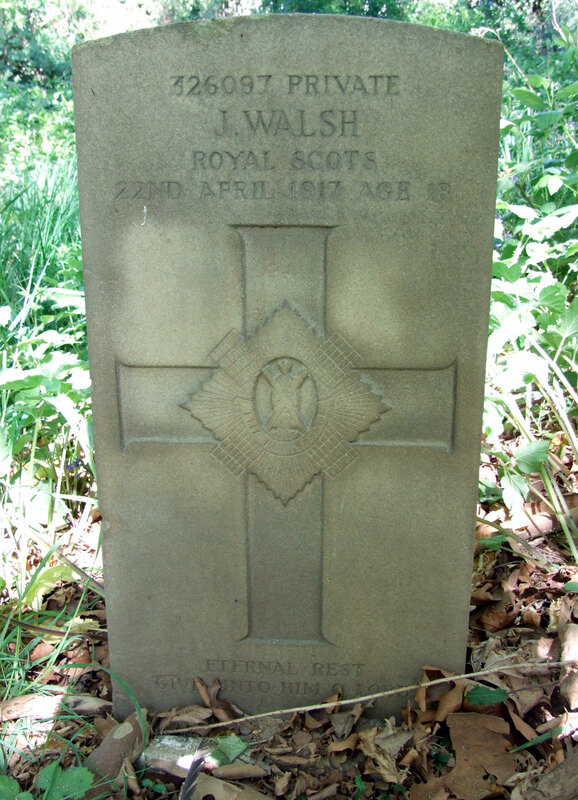 Died at home 22 April 1917. Aged 18. Born Starbridge (Derby), Enlisted Derby, Resided Derby. GIVE UNTO HIM O LORD"
John Walsh's grave is located in a peaceful woodland section of the cemetery with few headstones, unlike most of the cemetery. 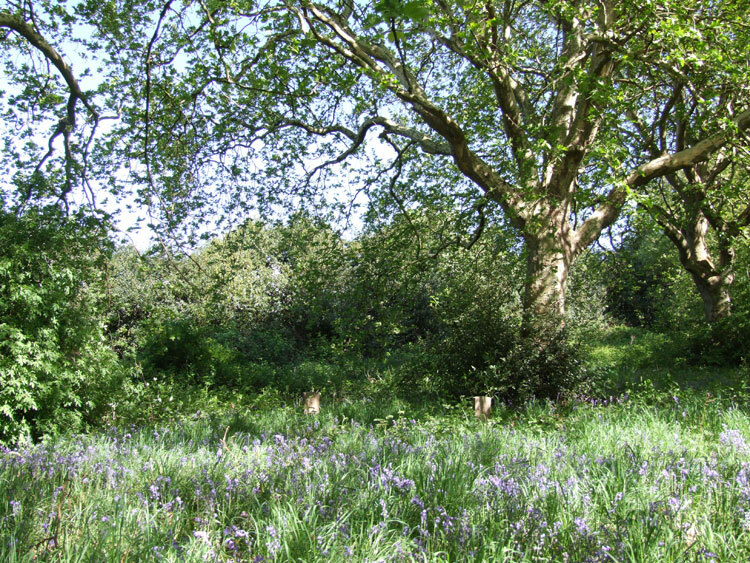 A photograph, below, shows this woodland area. The woodland area in Derby (Nottingham Road) Cemetery in which Private Walsh's grave is found. 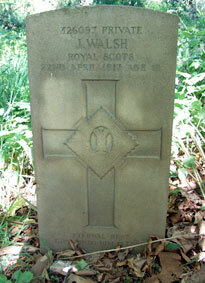 Photo from the Commonwealth War Graves Commision website.